Here’s another summer fruit recipe: Poached Pear Tart. 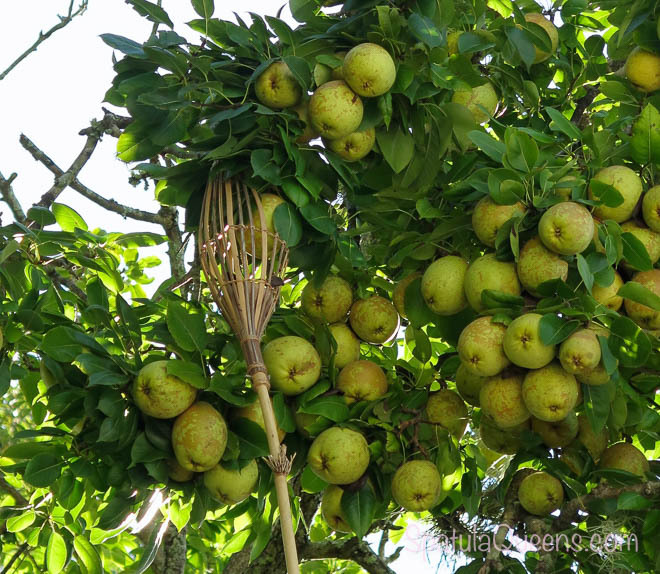 We harvested our pears this week and had a big crop, even with all the heavy pruning we did last year. Everyone in the family has a specialty – pear preserves, pear cobbler, pear crisp. 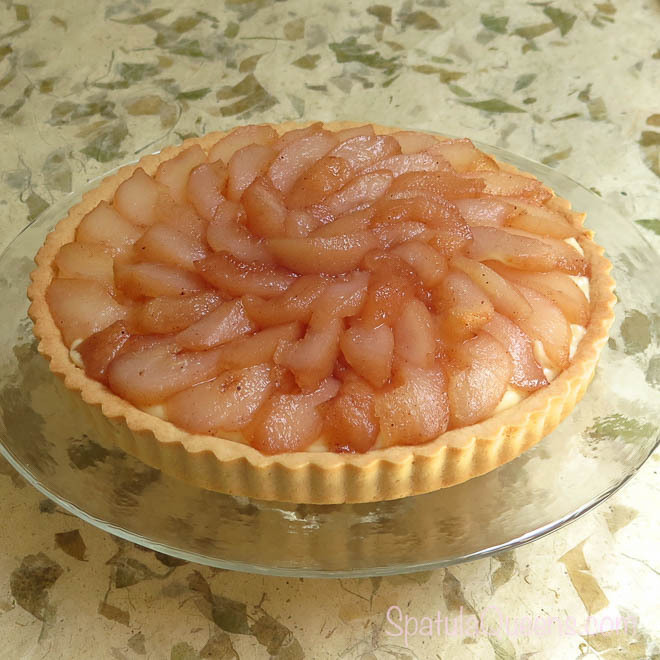 Mine is this tart made with poached pears over vanilla pastry cream – soft, juicy pears over luscious vanilla cream and a crunchy pastry crust – yummy. I like this recipe because all three components: the pastry crust, vanilla pastry cream and poached pears can all be made a day or two ahead of time and assembled just before serving. So a big crop of pears means dessert every night! 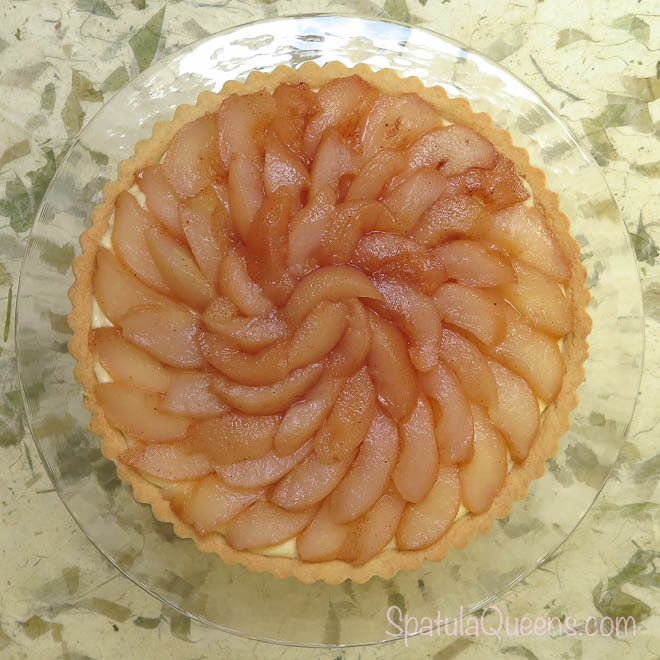 Finished poached pear tart – tastes as good as it looks! The crust is the same one we posted earlier this year; click here for that recipe and directions, Caramel Nut Tart. 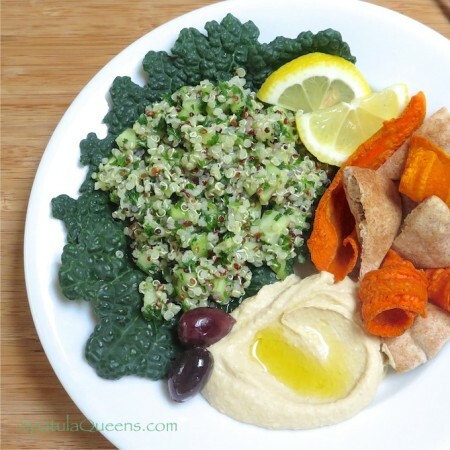 I use a 9-inch tart pan with a removable bottom. The tart shell can be baked ahead of time, wrapped and stored for a day or two at room temperature. You can also freeze the unbaked shell right in its pan for up to two months. Since I have several tart pans, I make more than one pastry shell at a time and freeze the extras so I always have one ready for dessert. 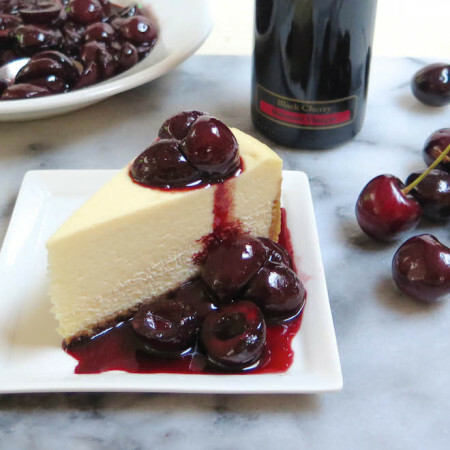 My go-to pastry cream recipe is Rose Levy Beranbaum’s from her Pastry Bible. 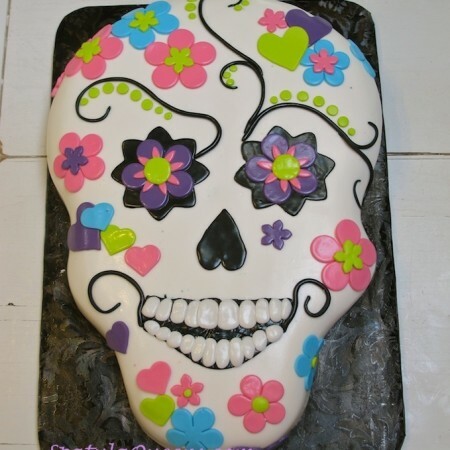 It is also posted on her website, Realbakingwith rose.com. It turns out perfectly every time and the recipe, which makes about 2 1/2 cups, is just the right amount for a 9-inch tart. This pastry cream can also be made a day ahead and stored in the refrigerator until you are ready to assemble the tart. Once your pastry cream and pastry crust are made, you are ready to poach the pears. The pears from our tree are what we call “cooking pears”. They are hard and crunchy but juicy and sweet at the same time. They are delicious when cooked in a cobbler or poached, but don’t soften the same way store-bought pears do. They seem to go from crunchy to mushy with no stage in between. 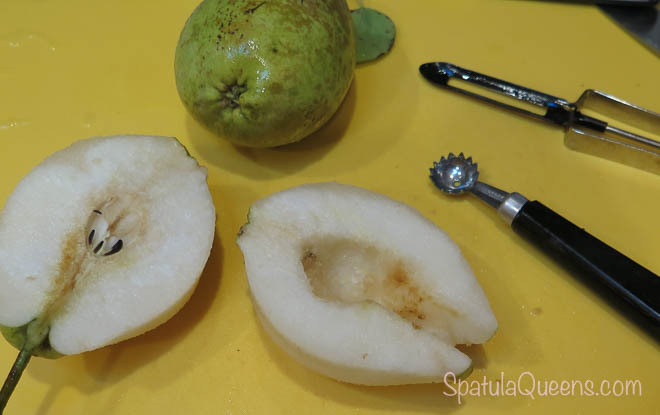 To poach the pears, peel and remove the seeds. I use my trusty tomato corer (which I never bother to use to core tomatoes) to scoop the seeds and tough, fibrous core. Note: Each poached pear will yield about 8 nice slices of pear. You could likely make this with 6 or 7 pears but we go with 8 in case some of the pears don’t make it to the tart. Place the pears in a large saucepan and pour the sugar over them. Add the spices and about two cups of water. 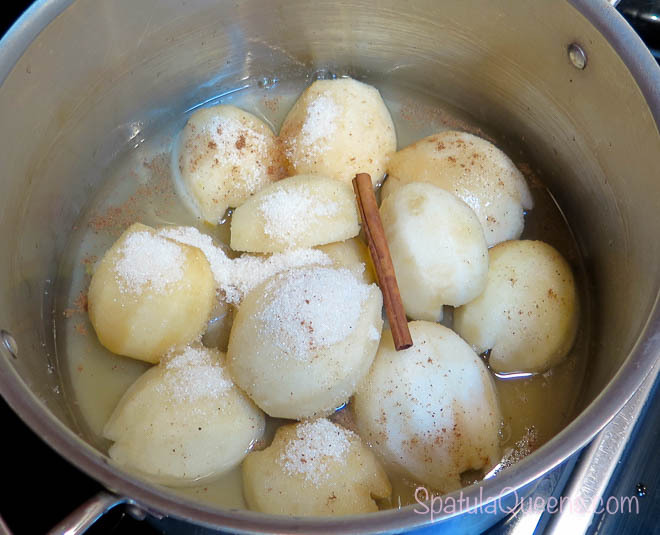 Cover and simmer over medium high heat until the pears are tender. 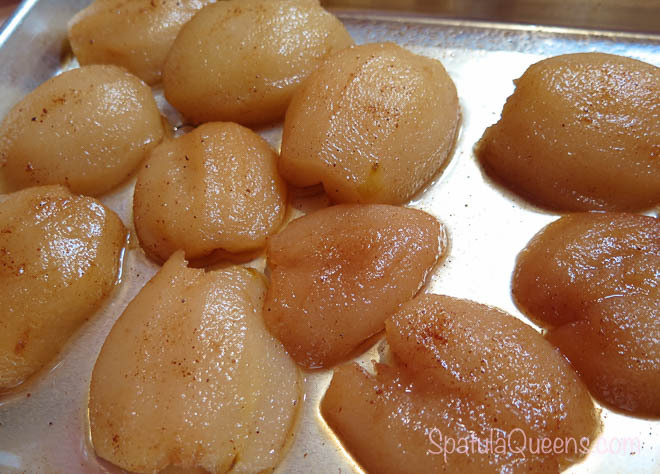 Transfer the pears to a sheet pan to cool and save the pear syrup to use in iced tea or to glaze cake. Spreading them out onto a sheet pan to cool makes them easier to handle when slicing for the tart – and I can see what I have, saving the prettiest pears for the center of the tart. 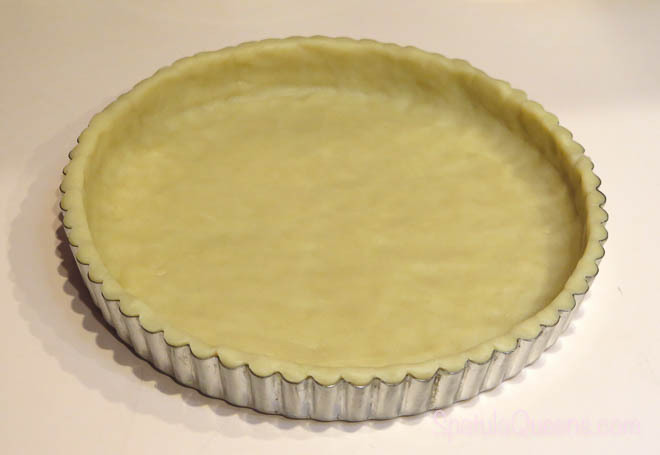 When ready to assemble the tart, spread the vanilla pastry cream in the tart shell. Slice the cooled pears. 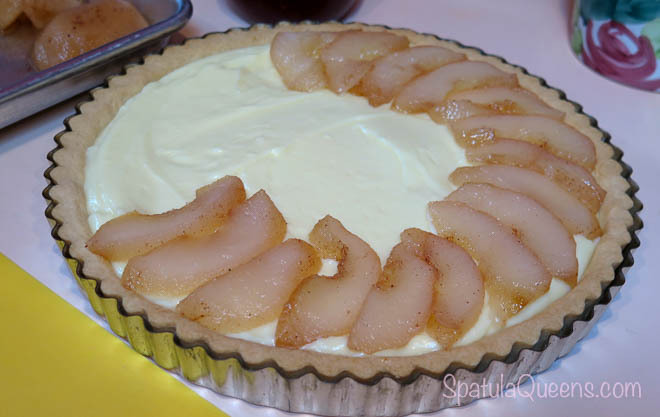 Starting from the outer edges, lay the slices on top of the pastry cream, creating a base layer, Keep adding pear slices, overlapping slightly and working toward the center of the tart. Poached pears are a versatile way to use seasonal fruit. 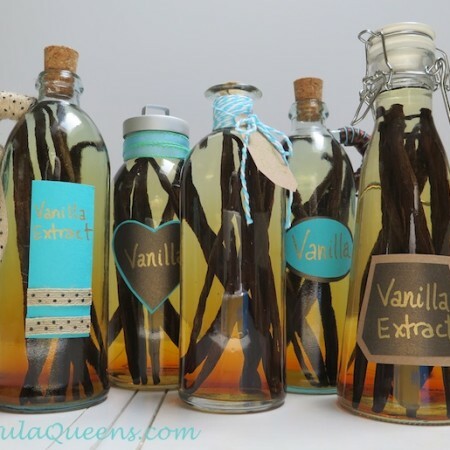 Use them as a component in a beautiful tart or serve them with ice cream. Note: Each poached pear will yield about 8 nice slices of pear. You could likely make this with 6 or 7 pears but we go with 8 in case some of the pears don;t make it to the tart. Peel pears and cut in half. Using a tomato corer or knife, remove the seeds and stem. 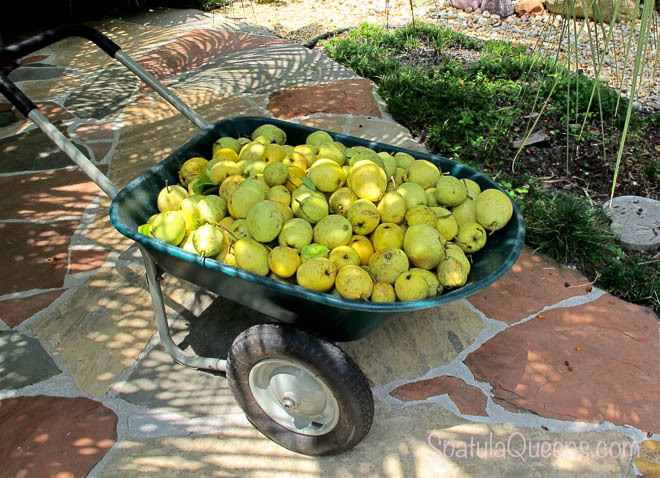 Place the pears in a large pot. Sprinkle with one cup of sugar. Sprinkle cinnamon and nutmeg over the pears. Add about two cups of water to the pot. Simmer until tender, about 20 to 30 minutes. For the tart topping, transfer pears carefully to a sheet pan to cool.